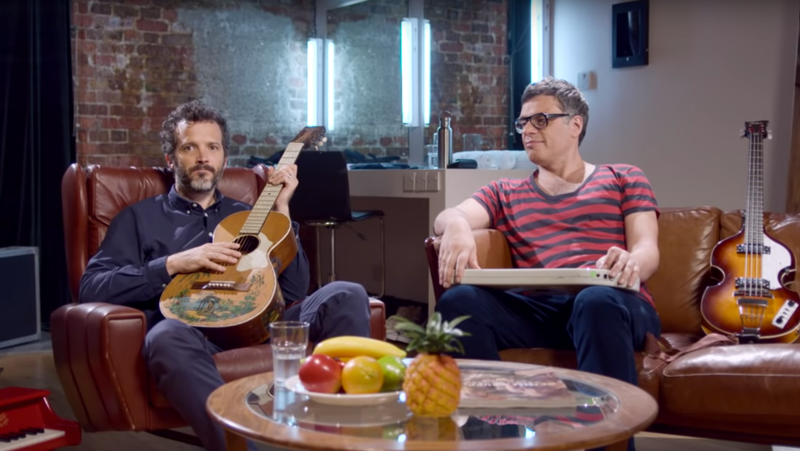 As Jemaine Clement teased at the very beginning of the year, Flight Of The Conchords really is returning to HBO later this year for an hour-long special with him and Bret McKenzie. The duo confirmed the return in a predictably low-key and jokey teaser video, which features the two of them deciding which of them is better suited to reciting the generic filler lines you’d expect in a video like this before confirming that the special will premiere on October 6. As IndieWire notes, the special was taped in London on July 1, and it will feature McKenzie and Clement performing a mixture of new and old songs. We don’t know much else about the special, including whether or not this will primarily be a wacky concert film or if it’ll have wacky narrative stuff, but at least we only have to wait until October. Most of these big revivals tend to drag things out for a few years.